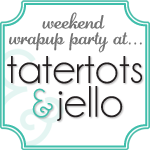 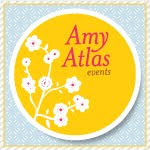 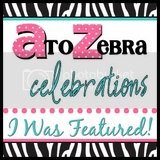 I always have a blast styling a party using Amanda's Parties To Go printable! 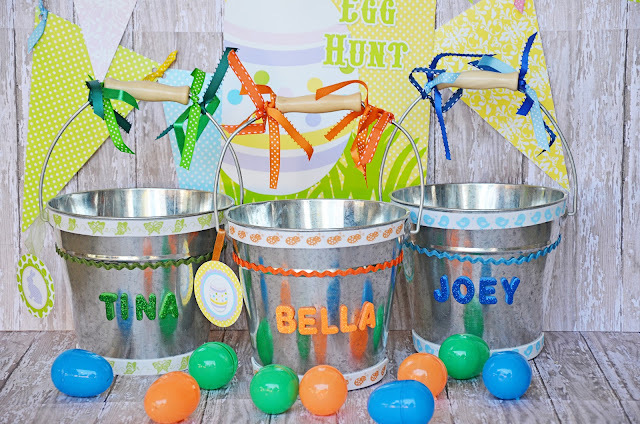 Amanda designs the most adorable and colorful printables! The dessert table was full of easy and colorful treats that were a feast to our tummies and eyes! 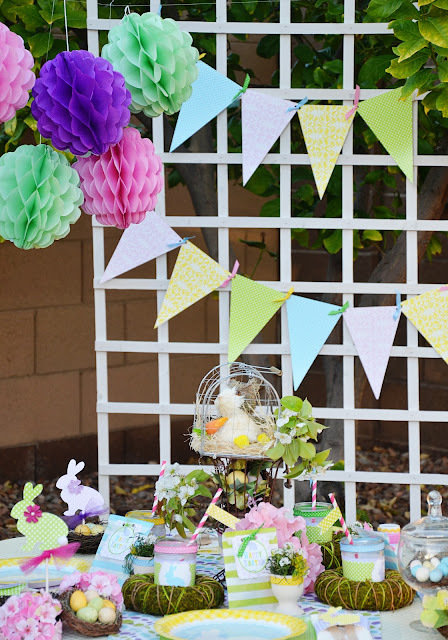 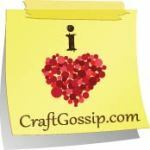 To create the pallet backdrop, I glued several pieces of scrapbook paper found at Hobby Lobby to a foam board. 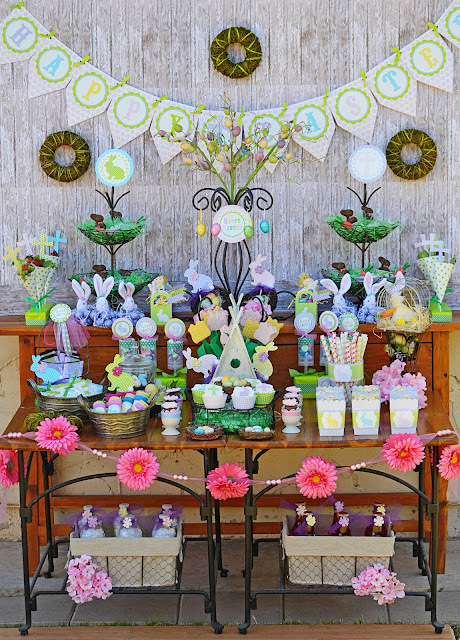 I attached the Happy Easter Banner from the Easter Collection and added mini wreaths to the backdrop. The sweets include Kisses push up pops, Tulip cake pops, hershey's chocolate, chocolate eggs, chocolate bunnies, jelly beans and sweet popcorn. 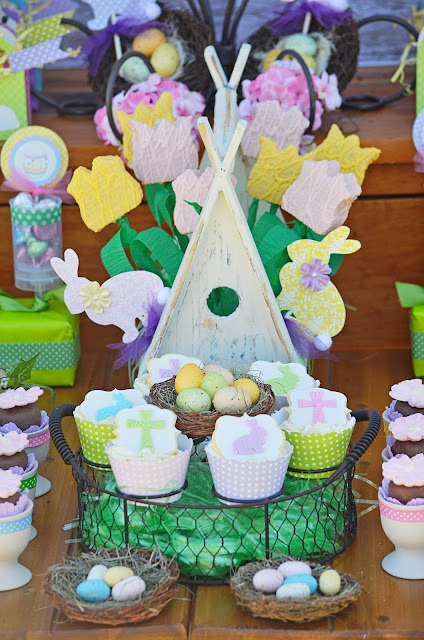 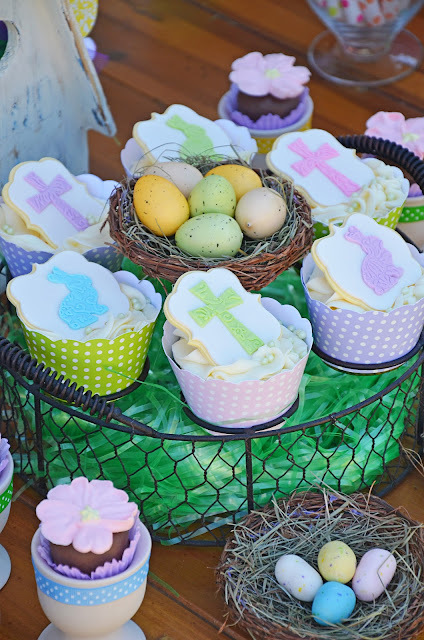 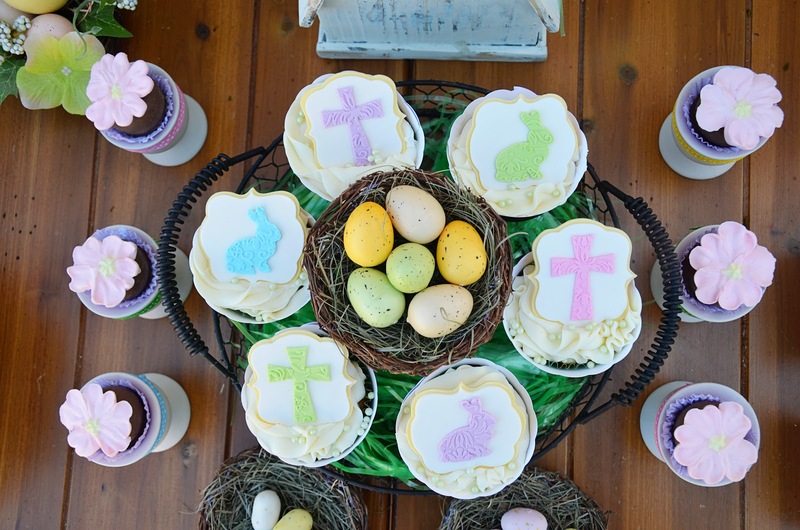 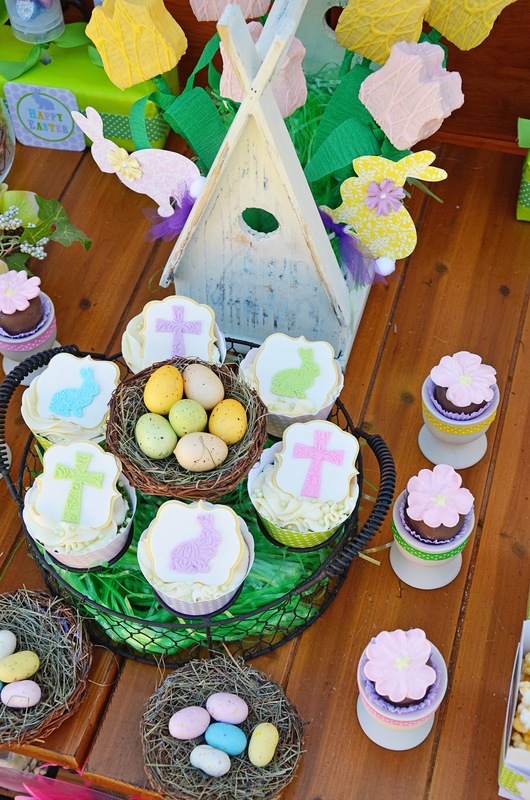 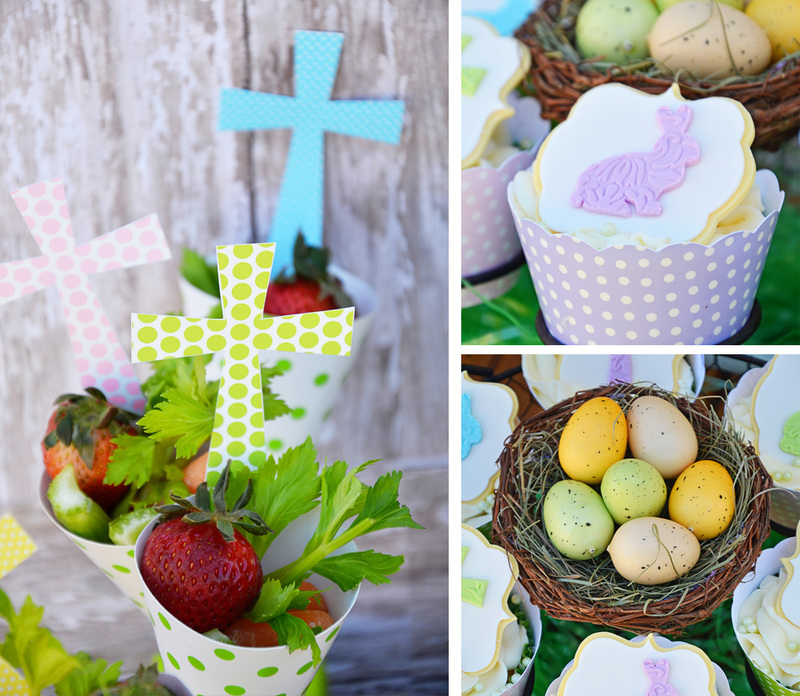 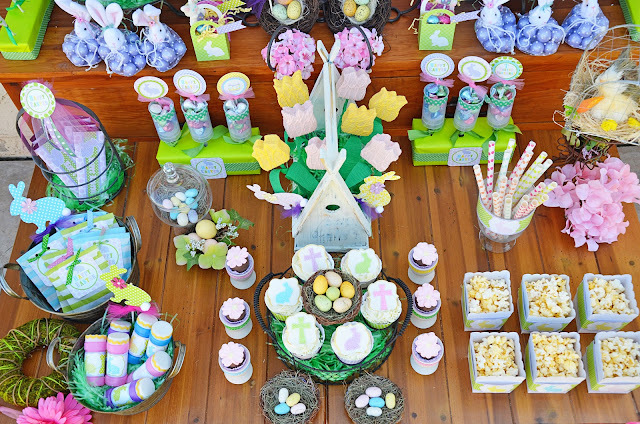 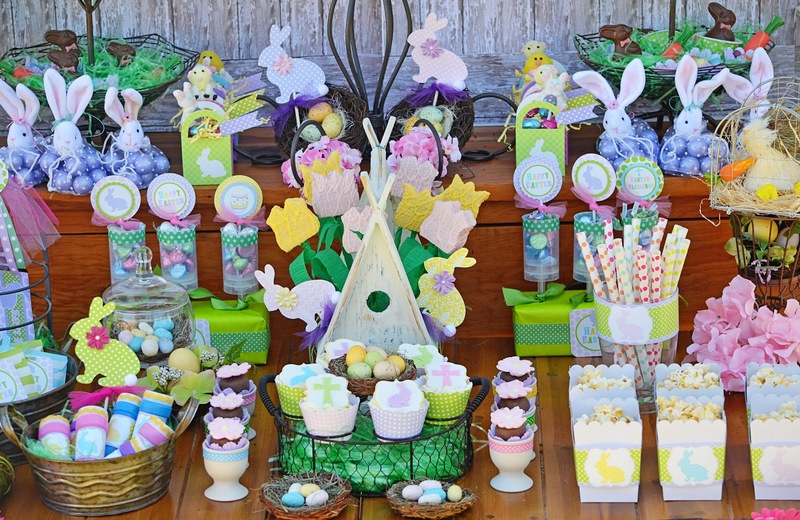 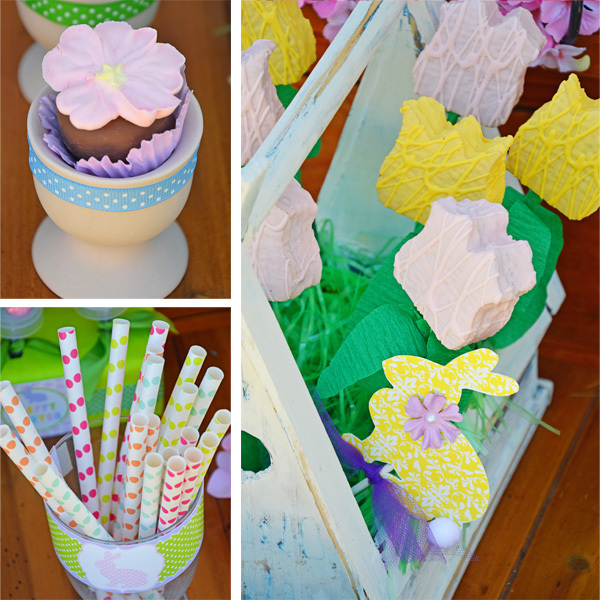 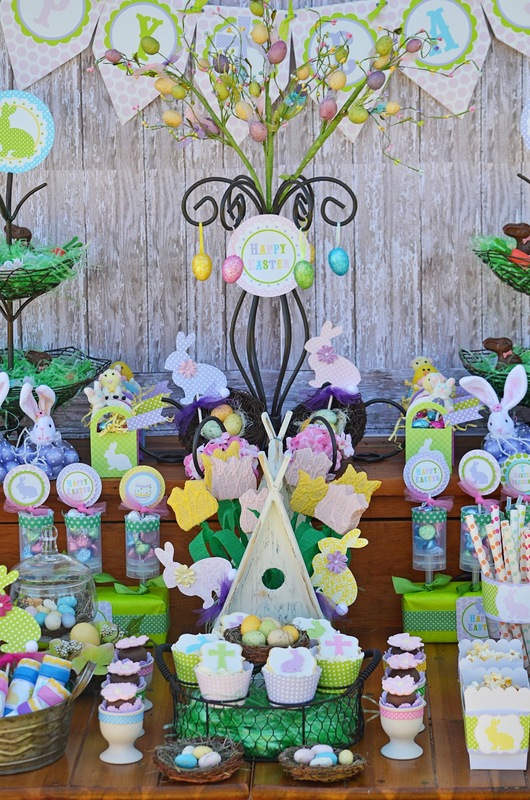 I kept the sweets simple and focused on the presentation using a lot of Spring items and took advantage of the huge items included on the Easter printable set to really make the party pop. 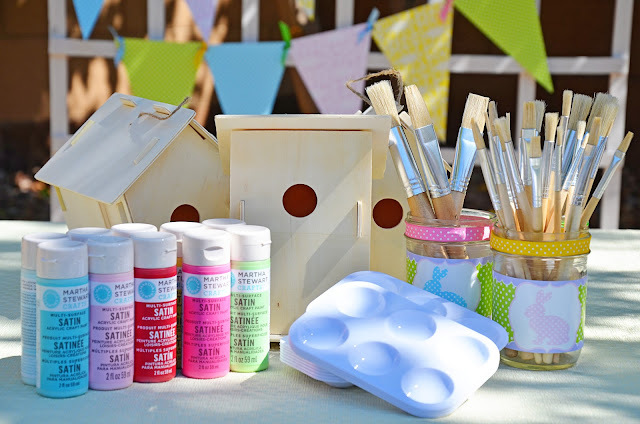 The craft activity was build and paint your own bird house and of course we had an Easter Egg Hunt. 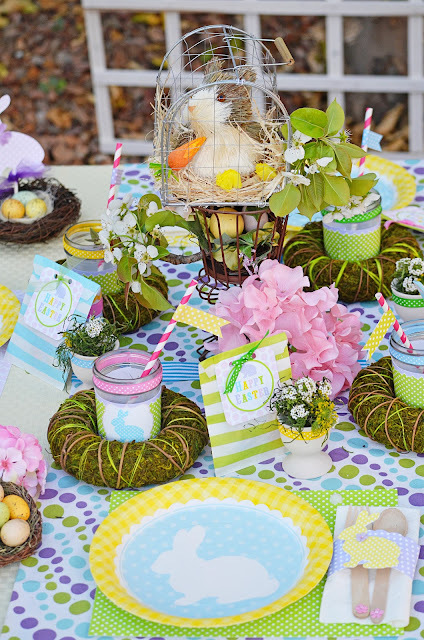 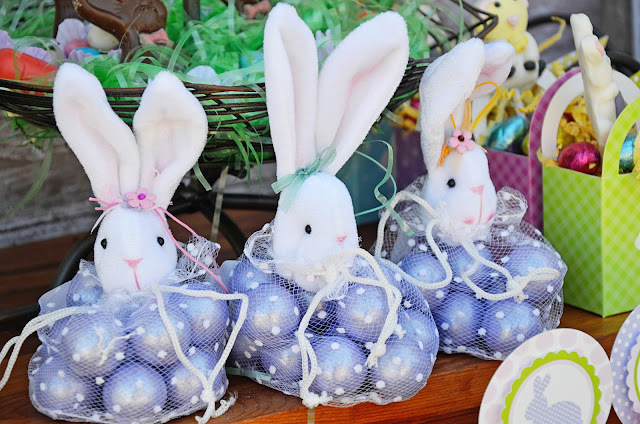 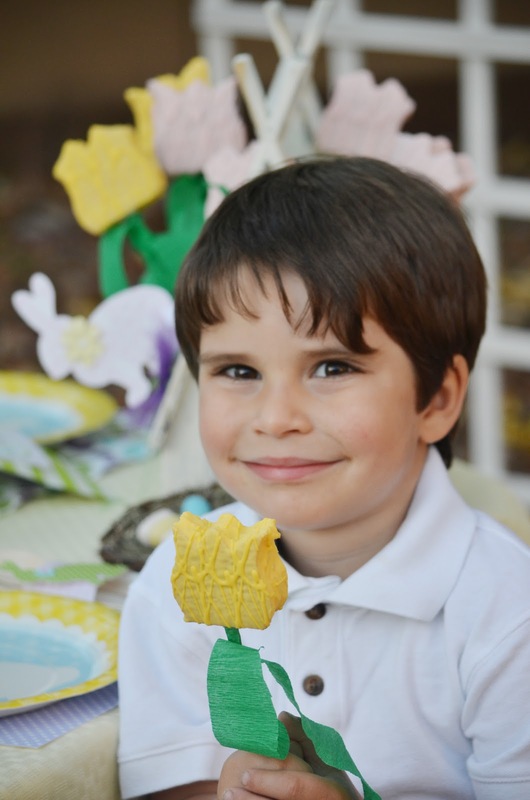 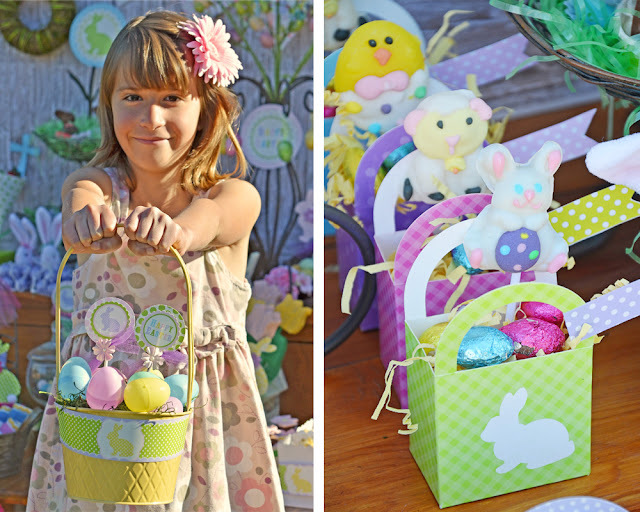 A fun and happy way to welcome Spring and celebrate Easter! 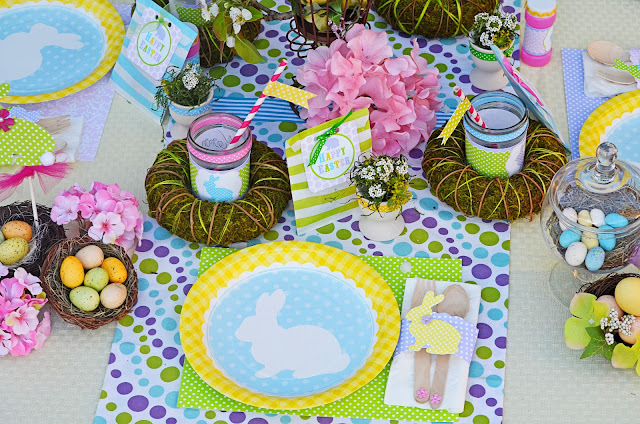 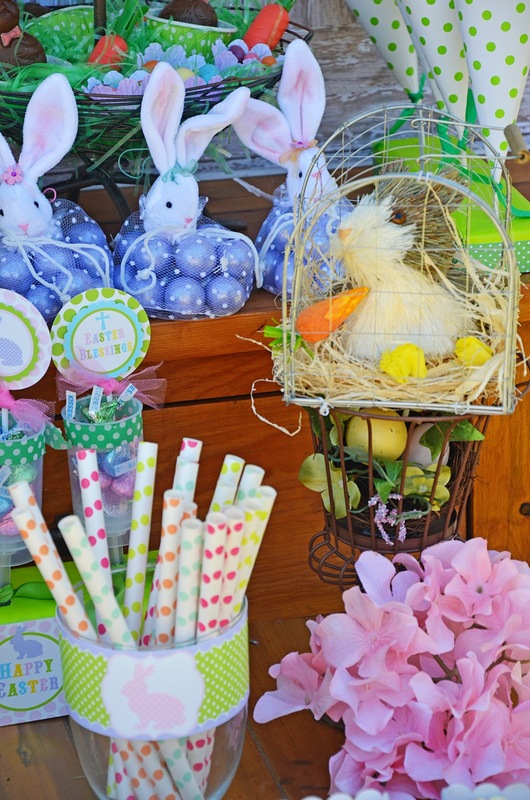 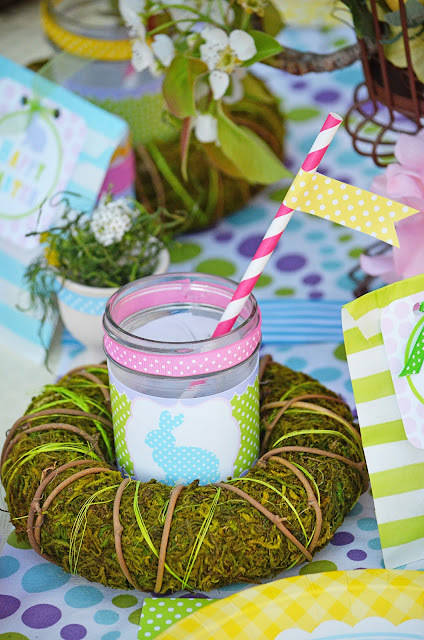 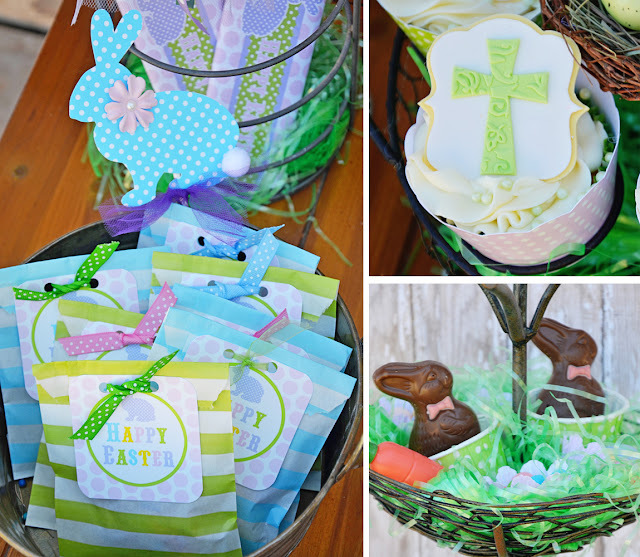 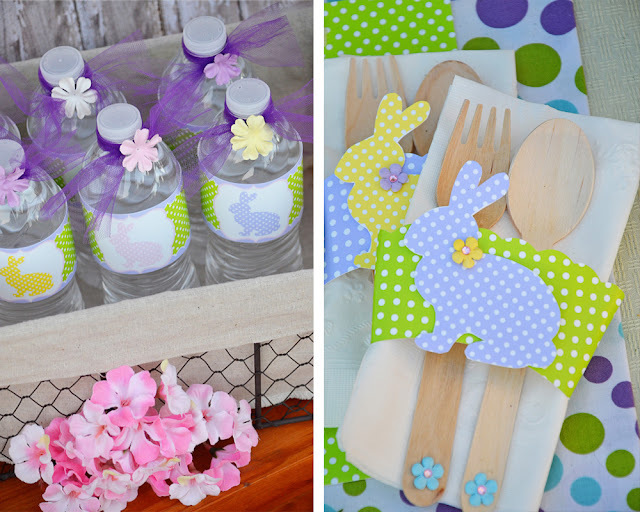 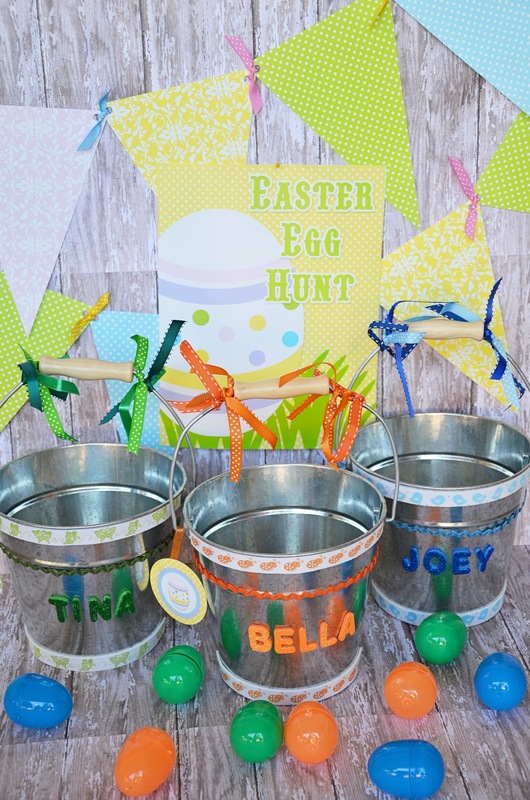 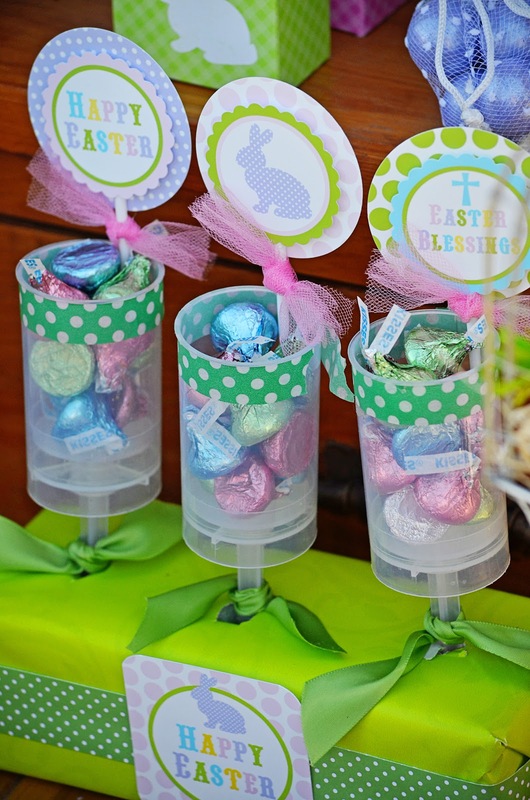 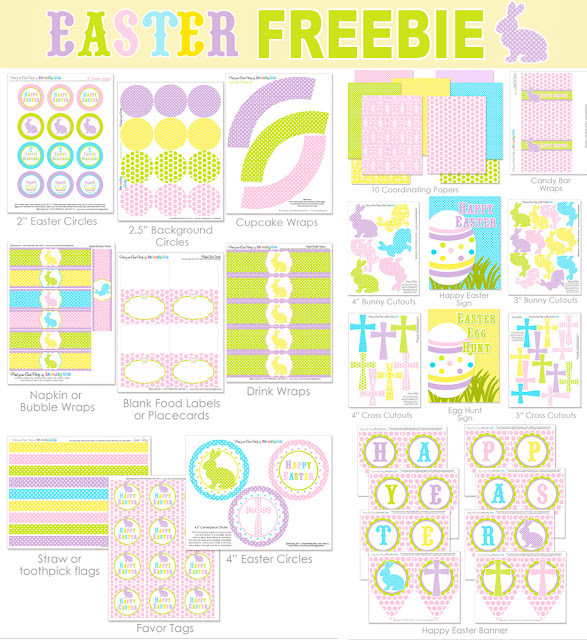 The EASTER FREEBIE PRINTABLES set includes lots of great designs like a banner, centerpiece circles, bunny cut outs, cross cut outs, cupcake toppers, drink flags, favor tags, napkin wraps, drink wraps and party signs, too. 3. 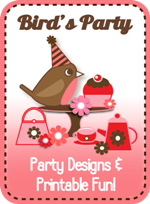 A new page will come up with a Download button.